bedroom, bathroom, office, or store. 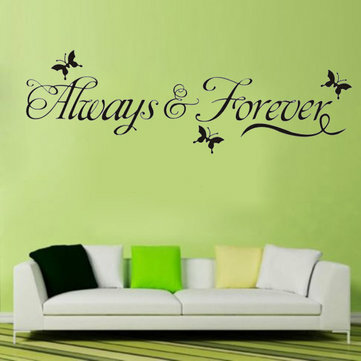 Give your room a Fresh feeling and create an enchanting atmosphere. 2. Easy to apply and remove without leaving any damage or residue. 3. Durable and keep color long time. 4. No white edge, can stick on the wall of any color. When you receive the sticker, it is rolled up in the tube. However it is easier to work with when the sticker is flat.